Description: 100-piece pack. For dial trains of wrist and pocket watches. 6.0mm OD x 3.2mm ID x 2.5mm thick. Swiss made. Regularly $7.50/pack. While supplies last. 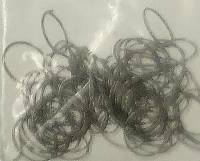 Description: Provides the sealing surface for the crown gasket in waterproof cases. 12 different sizes (1 to 12). Partitioned box. 2.5mm heads. Swiss. Special buy. Regularly $27.50/asst. While supplies last. 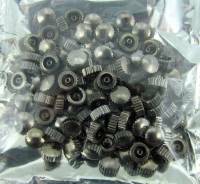 Description: 100-piece assortment contains link screws in various lengths and styles. 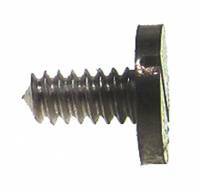 Screws are either nickeled steel or stainless steel. Warehouse find. Regularly $27.50. While supplies last. Description: Warehouse find. 3 pieces per pack. Swiss made. Regularly $16.00/pack. While supplies last. Description: Warehouse find. 3 pieces per pack. Swiss made. Regularly $12.00 pack. While supplies last. Description: Stainless double shoulder type. 1.8mm thickness. Hong Kong. Regularly $8.00/pack. While supplies last. Description: Domed with knurled edges for easy winding. Tap size 10 x 4.5mm diameter. No gasket. 100 piece pack. Regularly $4.00/pack. Description: For watch movement. Swiss. 17.5mm long. Regularly $5.00/each. While supplies last. Description: Replacement nickeled bows for pocket and pendant watches. 12-pack. Regularly $8.00/pack. While supplies last. 100-Piece Assortment Long Pipe Chromed Watch Crowns. Description: 26/90 assortment. Long pipe crowns with chrome finish. India. 100-Piece Assortment Long Pipe Yellow Watch Crowns. Description: 26/90 assortment. Long pipe crowns with yellow finish. India. 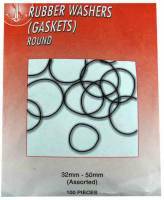 Description: Provides the sealing surface for the crown gasket in waterproof cases. 12 different sizes (13 to 24). Partitioned box. 2.0mm heads. Swiss. Special buy. Regularly $27.50/asst. While supplies last. Description: Warehouse find. Esser brand assortment of 144 copper & nickeled washers for Swiss & American Watches. Ratings; 1,2 3, minutes per 24 hours. Swiss lignes: 3.75 – 10.50. Regularly $25.00/assortment. 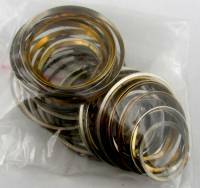 Description: Round hole brass convex washers used on wrist watches, pocket watches & small alarm clocks. 3mm and 4mm OD. Swiss made. Special buy. While supplies last. Regularly $7.50/asst. 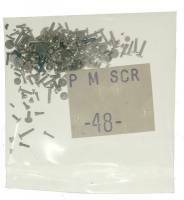 Description: Slotted #52 screws come in a pack of 100 pcs. Swiss. Special buy. Regularly $32.50/pack. While supplies last. 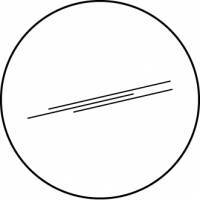 Description: Protective 59mm (approximately 2-5/16”) diameter vinyl for large watch & small clock lenses. 10-pcs/pack. Can cut to size. India. Description: 100 pc. assortment for mechanical watches. India. Description: 25-pc. assortment for mechanical watches. India. 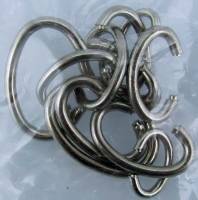 Description: Used in many Swiss & German watches to hold jewels. 25 assorted pieces in a pack. Description: 25-piece assortment of popular sizes. India. Description: Flat 32mm to 50mm (1.26" to 1.97") diameters. 100 pcs India. Description: 50 pieces in brass & chromed for mechanical & automatic watches. 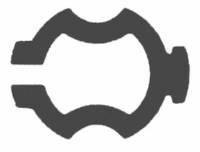 3/4" to 1-1/4" approximate diameter range. India. 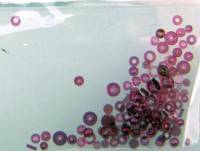 Description: 100 pieces in a size range of 21mm to 32mm. 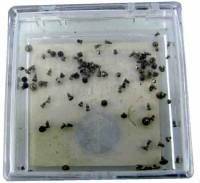 Partitioned plastic box. India. 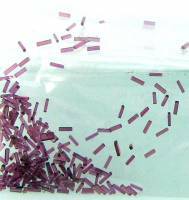 Description: 100-piece assortment for mechanical watches. India. Description: 1.8mm extra thick stainless steel spring bars in lengths from 31mm to 35mm. India. Description: Assorted sizes for wrist watches. Made in India. 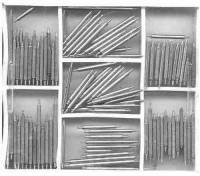 Description: Assorted lugs with yellow screw-on tips from 8.0mm to 19mm. 100-pc. assortment. India. Description: 100-pc. 26/90 assortments. Short, medium & long pipes. India. 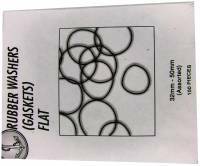 Description: Flat rubber gaskets (O'Rings)for most watches. 72-pc. assortment. India. 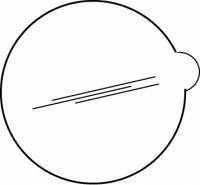 Description: Round rubber gaskets (O'Rings)for most watches. 100-pc. assortment. India. Description: 100 pc. assortment. 70-90-120 tap sizes. India. Description: 100 pc. assortment. India. Description: 12-pc. steel assortment. Sizes 12mm to 20mm. India. Description: 32mm to 50mm (1.26" to 1.97") diameters. 100 pcs India. Description: Gold color watch bow assortment. Sizes 12mm to 20mm. 12pcs. India. 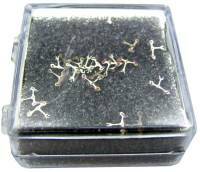 Description: Used to hold down battery clasps in quartz watches. India. Description: 100 pair hour/minute hand assortment in yellow (brass tone). India. Description: 10-piece assortment of hold down clamps for watch batteries. Made in India. Description: For all Swiss & Japanese calibre quartz watches. 100-pc. assortment. India. Description: 100 pc. assortment in yellow. Fits Seiko, VX, FE, Ronda & others. India. Description: By calibre for all Swiss, Japanese and Russian mechanical watches. 100-piece assortment. India. Description: 100 assorted sizes & styles for most watches. Plastic. India. 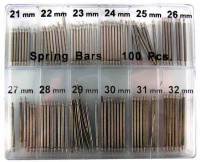 Description: 100 assorted stainless steel spring bars in sizes 8mm to 19mm. In a plastic case. Made in India.